Household Items: Are you sat on a potential goldmine? Watching programmes like the Antiques Roadshow, you might dream of uncovering a dusty Monet up in the attic. But according to antiques expert Tracy Martin, you could be sat on a goldmine – for the most surprising items. Many modern objects are amassing huge value – and you might well have one or more of these items tucked away somewhere in your home. Time to uncover the potential treasure! The list of the most valuable modern, everyday items is topped with first edition modern books – with Stephanie Meyer’s Twilight and Dan Brown’s The Da Vinci Code looking to be incredibly valuable over the next few decades. Check the inside pages of your books to see which are first edition – and keep them in storage and as pristine as possible. 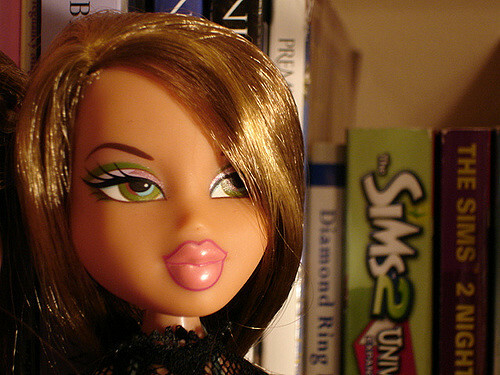 Experts predict that Bratz Dolls and the Harry Potter Lego range will be huge money-spinners in years to come. Toys have been found to be incredibly popular – original Star Wars figures from the 1970s do incredibly well at auction. So if you have any licensed toys that include Power Rangers Dino Charge, Star Wars Lego and Ninjago Lego, pack them away in their box once they’ve been played with. iPod Shuffles have had a few incarnations – but if you have a first generation one, keep hold of it. This is one example of a couple of pieces of tech that won’t lose its value over the years. First generation Shuffles were released back in 2005, so if you have one, guard it with your life! Again, it’s only the original Nintendo DS that we’re interested in. The original version will be valuable in years to come. This came out in 2004 as a successor to the Nintendo Game Boy and cost £129.99 as a bundle with two games. Remember the Topshop x Kate Moss collaboration? It was one of the first high profile partnerships to create a collection. There have been many more – so keep hold of the items you bought from these launches and see their value rise over the next few years. Even relatively new items like Amazon Echo are raising eyebrows with collectors. Released in 2014, the Amazon Echo is a gadget that could be collectable in the future – but only if it’s the original. The hairdryer which broke the mould, this is likely to be a collectors item one day. This item was released last year and can be bought for around £299.99. Zeitgeist designers, like Emma Bridgewater, whose ceramic designs have really captured the spirit of the UK, will be very valuable in the future. Her portable radio is said to be extremely valuable in the next decade or so – it currently retails for around £130. Another designer whose designs are ubiquitous, Cath Kidston is famous for her prints – but her shabby chic chairs are looking to be worth a bob or two in the future. If you own any first edition versions of games lie Perfection, Omega Virus, Crossfire, Perfection and Jumanji – you’re on to a winner. Hold on to one of these games and you could be the owner of something very valuable in the next decade or two. Posted on September 1st, 2017 in Household.